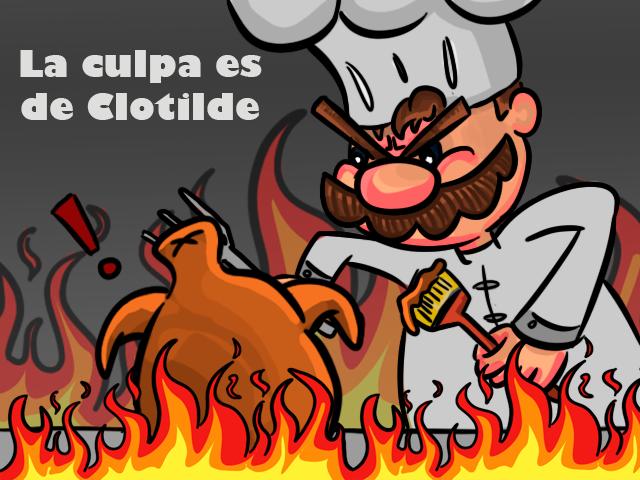 Blame Clotilde! was made in the Venezuela Duel Jam 2015, an online event, by Héctor Vargas and Ciro Durán. 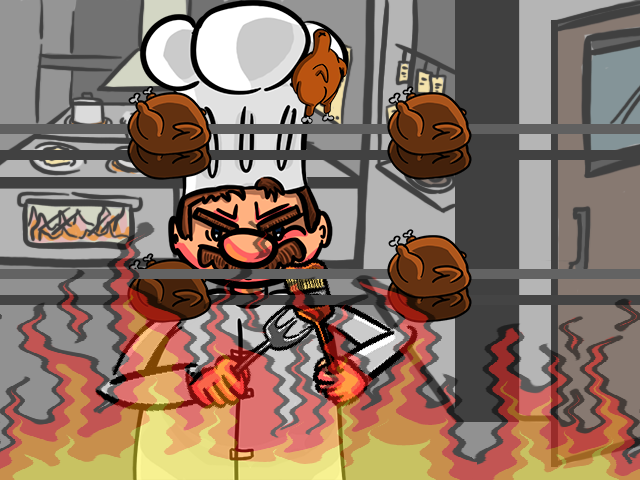 This game represents the fight between a roasted chicken and the chef, and you can play as both sides. As a roasted chicken, you must escape the chef’s fork. As a chef, you must guide the fork towards the endlessly running chicken. Made with HaxeFlixel, OpenFL and Haxe, pointing towards the Adobe Flash platform. August 2015.